Safari Construction Equipments Pvt. Ltd. is a very fast growing Construction Machinery & Material Handling Equipments manufacturer in India. We are the leaders in mini crane manufacturing in India with 85% market share. 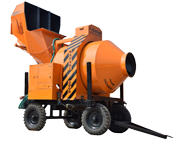 We design and manufacture innovative and robust construction equipment like concrete batching machine, concrete mixer, tough rider, mini crane, tower hoist, tremix system and other construction equipment with sales and service network pan India. We strongly believe that the people of Safari family are responsible for the growth and success that we have achieved. It is indeed the hard work of each and every employee of this organization that has helped us reach these heights. Safari is always looking to undertake more challenges and scale new heights. Safari is a company where you can have a career, and not just a job. We invite enthusiasts from the fields of engineering and management to join us in our journey to develop innovative and robust construction machinery and equipment.